winter/spring annual that are easy to grow and will tolerate shade. It is a very determined self-seeder, however not excessively so to become weed-like. They look so pretty and to great effect in mass displays and as border plants. Each plant can carry between 20 and 30 simple flowers of pinks, white or mauve blooms in tiers, on slender stems above hairy, pale green, scallop-edged leaves. 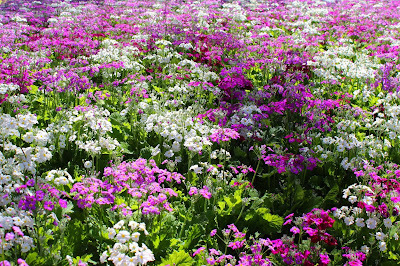 Primulas also make excellent cutting flowers for the vase which helps encourage more blooms as spent flower stems should be removed after flowering in order to promote new growth. Apply liquid fertilizer every two weeks or so during the entire flowering period. 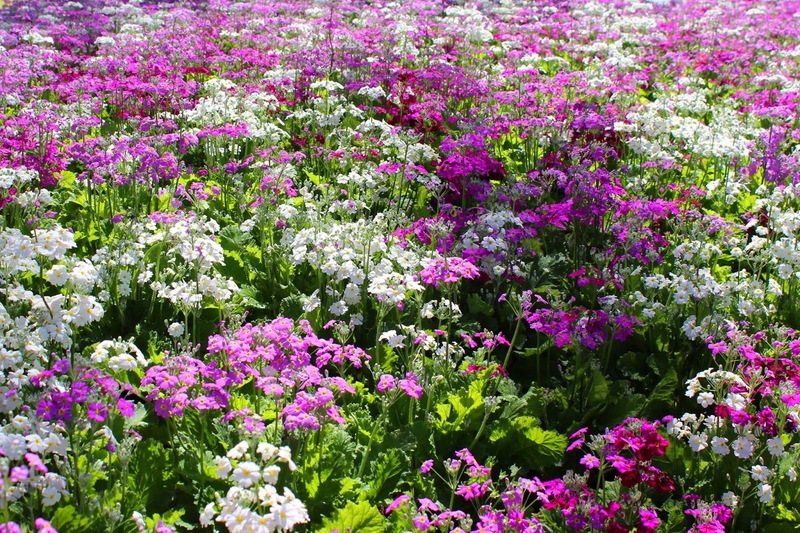 Primulas are perfect for shady areas, although they can tolerate dappled morning sun, it just thrives in the cool, short days of winter and early spring. Flowering in July, August, September & October on the Coffs Coast.